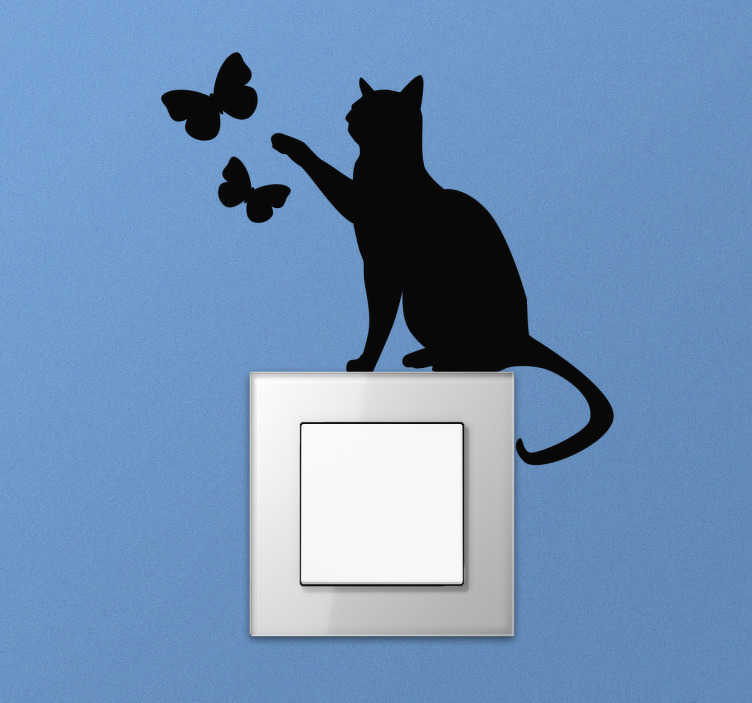 Cute cat light switch wall sticker showing a silhouette of a cat trying to catch some butterflies. This fun animal wall sticker is perfect for decorating your light switches or plug sockets at home to provide a personal and unique touch to even the smallest parts of your home decor. This lovely butterfly decal is just what you need to add that final touch to the room.